Check out our Calendar of Events to find the next Jump Up, volunteer opportunities, Howard's shows and more! 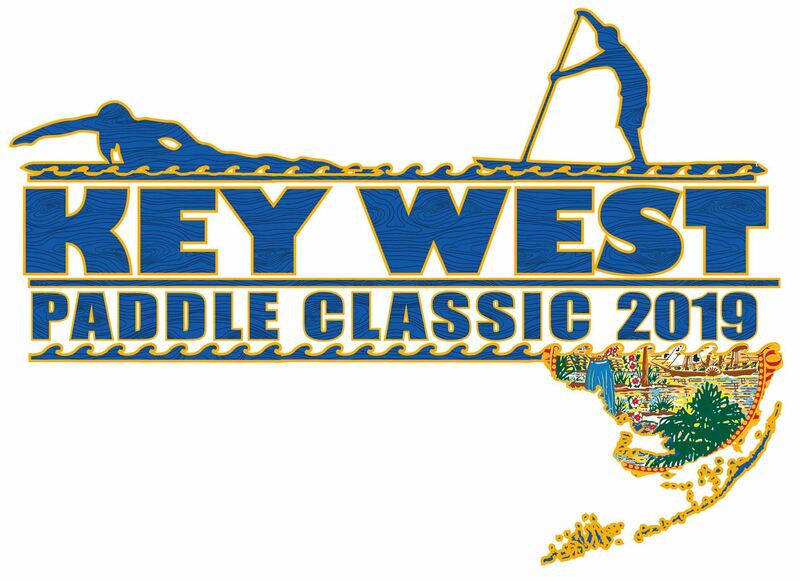 This premier destination race is a 12-Mile distance race with its course boasting a beautiful, albeit challenging, circumnavigation of the crazy, fun and eclectic island of Key West. Lazy Dog is seeking task warriors! Find tasks that you enjoy and help tackle them at the event! Lazy Dog will buy your lunch, libations and an event shirt as a BIG Thank you! Win! Win! If you are interesting in volunteering, please use the link below. Note: There is a volunteer meeting at Salute! Thursday, May 2, 2019, 5:30pm. Please be prompt as the meeting shall be short and sweet! You will receive your volunteer shirt at the meeting. 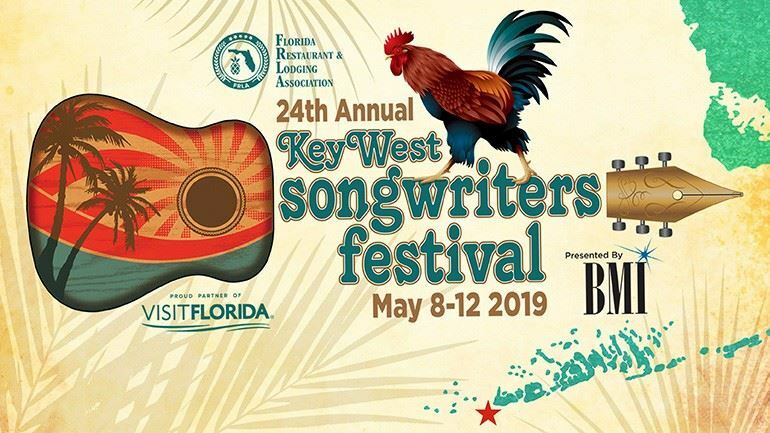 The Key West Songwriters Festival--the largest festival of its kind in the world--is celebrating its 24th year. Since 1997 BMI has been a presenting sponsor of the festival and has helped it grow into both a tourist attraction and favorite of island locals. The festival revolves around five days and nights where live music bliss introduces crowds to the faces, voices and stories behind the songs. As in previous years, they are asking to please volunteer your time to make this festival a beautiful and successful event. The link takes you to this year’s schedule-–it is updated live as volunteers are added to cover the shifts (this is a read only link, so you will NOT be able to edit). Please note that if a volunteer section is highlighted in lime green, that person must be able to use Ticketleap, which requires a smartphone. To SIGN UP for a shift please email volunteers@southernmostcoconutcastaways.com with the shifts you would like to volunteer for, along with your cell phone number and unisex shirt size. Tickets are $50 in advance, $60 at the door, includes food and drink, music, live and silent auctions. Monthly meeting of the Club's Board of Directors. Members are welcome! Bring a dish to share and your fav beverage. To see full details and get the link to book your room at our host hotel, Oceans Edge Resort & Marina, go to www.meetmeinthekeys.org. NOTE: When registering as a couple, register the first person then select "add guest." You will then enter the registration information for your 2nd person. Remember, everyone attending must be a member (both you and your guest). 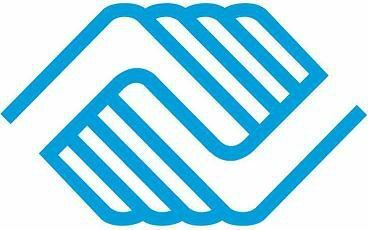 Event is open to club members 21+. Questions? 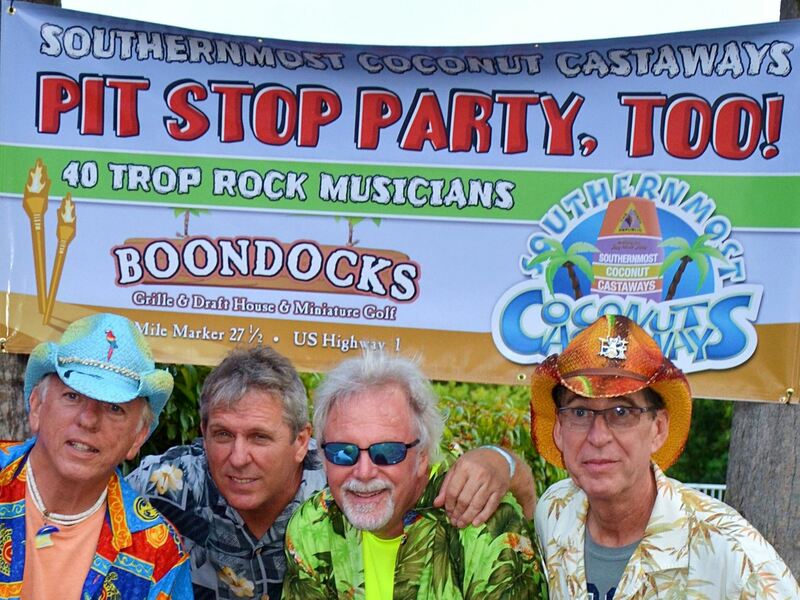 See the FAQ page on the event website, or email event coordinator Glenda DeRudder at glenda.derudder@southernmostcoconutcastaways.com. 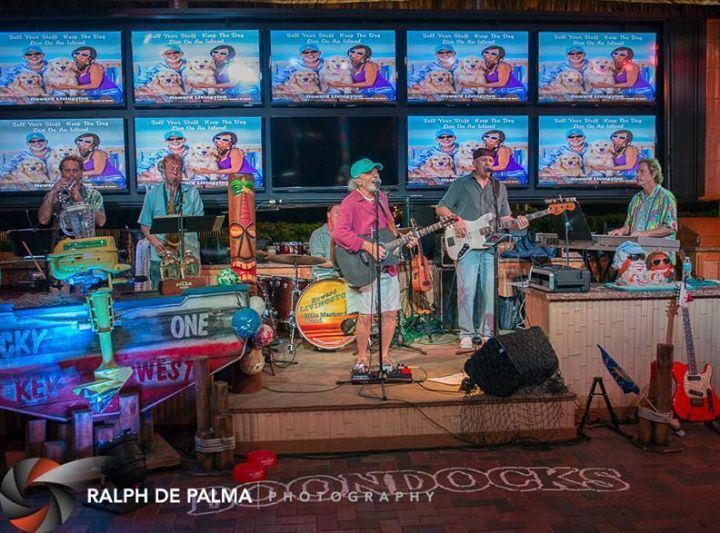 Join Howie and The Mile Marker 24 Big Band at the largest tiki bar in the Florida Keys! No cover charge and open to the public. Reserve a guaranteed table for a fee here. 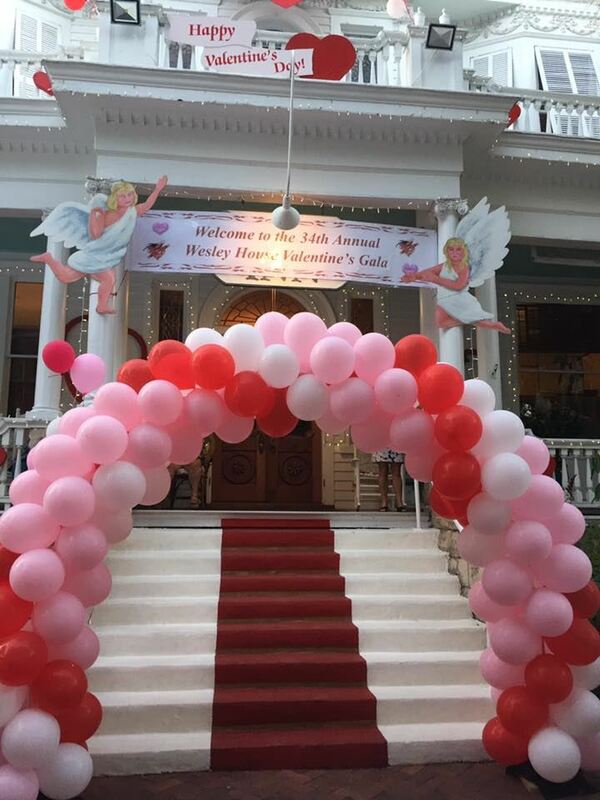 Join Howie and The MM24 Big Band at the Annual Wesley House Valentine’s Day Party outside the Curry Mansion. Best Silent Auction of the year! Benefitting Wesley House Family Services. Tickets info to come. 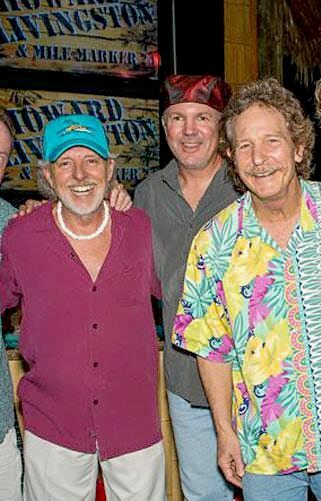 Join Howie, Rick and Tim for a very special Acoustic Evening Living Room Show at the largest tiki bar in the Florida Keys! No cover charge and open to the public. 30 Oct 2018 Howie Hour at Pit Stop Party, Too! 29 Oct 2018 Howie Hour at Pit Stop Party, Too! 31 Dec 2017 Grace Swinford's Birthday! 28 Dec 2017 Patti Bridges' Birthday! 28 Dec 2017 Robert Norway's Birthday! 28 Dec 2017 Libby McDonald's Birthday! 27 Dec 2017 Ron Baumann's Birthday! 23 Dec 2017 Almeda Bahlke's Birthday! 20 Dec 2017 Leslie Bayliss' Birthday! 16 Dec 2017 Mary Margaret Kelly's Birthday! 16 Dec 2017 Bob Schleicher's Birthday! 16 Dec 2017 Kathy Boyce's Birthday! 15 Dec 2017 Michael Hinojosa's Birthday! 13 Dec 2017 Janine Seibert's Birthday! 12 Dec 2017 Regina Mogle's Birthday! 11 Dec 2017 Karen Miles' Birthday! 11 Dec 2017 Larry McCart's Birthday! 11 Dec 2017 Roger Jokela's Birthday! 10 Dec 2017 Rich Schugar's Birthday! 10 Dec 2017 Lisa McMullen's Birthday! 08 Dec 2017 Traci Herr's Birthday! 08 Dec 2017 Meter Parker's Birthday! 08 Dec 2017 Christi Gilbert's Birthday! 06 Dec 2017 Susan Mitchell's Birthday! 05 Dec 2017 Debbie Popagain's Birthday! 04 Dec 2017 Steve Koslowski's Birthday! 03 Dec 2017 Becky Hall's Birthday! 03 Dec 2017 Carrie May's Birthday! 01 Dec 2017 Kate Colclasure's Birthday! 01 Dec 2017 Ginny Bailey's Birthday! 30 Nov 2017 Deb Livingston's Birthday! 30 Nov 2017 Becky Thompson's Birthday! 30 Nov 2017 Ed DeVries' Birthday! 30 Nov 2017 Michelle Chennault's Birthday! 28 Nov 2017 Don Olson's Birthday! 26 Nov 2017 Mark Mason's Birthday! 26 Nov 2017 Kathy Yearsley's Birthday! 25 Nov 2017 Jackie Baird's Birthday! 24 Nov 2017 Sandy Santiago's Birthday! 24 Nov 2017 Diane Richards' Birthday! 24 Nov 2017 Bob Farrow's Birthday! 23 Nov 2017 Cindy Morr's Birthday! 22 Nov 2017 Dave Walton's Birthday! 22 Nov 2017 Steve Craigo's Birthday! 22 Nov 2017 John Crabtree's Birthday! 21 Nov 2017 Barbara Ross' Birthday! 21 Nov 2017 Don Martin's Birthday! 20 Nov 2017 Les Vipond's Birthday! 20 Nov 2017 Teresa Wiersma's Birthday! 19 Nov 2017 Judy Murphy's Birthday! 18 Nov 2017 Rusty Hodgdon's Birthday! 16 Nov 2017 Nate Harris' Birthday! 15 Nov 2017 Amanda Davis' Birthday! 15 Nov 2017 Richard Jordan's Birthday! 14 Nov 2017 Donna Ballard's Birthday! 14 Nov 2017 Linda Anderson's Birthday! 12 Nov 2017 Anke Maass' Birthday! 12 Nov 2017 Diane Bailey's Birthday! 11 Nov 2017 Doug Goethel's Birthday! 11 Nov 2017 Carol Dehoff's Birthday! 10 Nov 2017 Kathy Koester's Birthday! 10 Nov 2017 Cindy Dresow's Birthday! 10 Nov 2017 Christina Cummings' Birthday! 10 Nov 2017 Becky Blanchard's Birthday! 09 Nov 2017 Cindy Weagley's Birthday! 08 Nov 2017 Linda Muncy's Birthday! 07 Nov 2017 Theresa Muglia's Birthday! 06 Nov 2017 Johnny McRae's Birthday! 06 Nov 2017 Montie Henderson's Birthday! 06 Nov 2017 Tim Statler's Birthday! 06 Nov 2017 Colleen Kidney's Birthday! 05 Nov 2017 Jeff Thompson's Birthday! 05 Nov 2017 Rick Holtz's Birthday! 04 Nov 2017 Anne Cyr's Birthday! 04 Nov 2017 Donna Wood's Birthday! 04 Nov 2017 Bruce Kudick's Birthday! 03 Nov 2017 Julie Engelken's Birthday! 03 Nov 2017 Donna Carpenter's Birthday! 01 Nov 2017 Sharon Douglas' Birthday! 29 Oct 2017 Mark Funt's Birthday! 29 Oct 2017 John Bailey's Birthday! 28 Oct 2017 Ruth McGreal's Birthday! 28 Oct 2017 Dorian Patton's Birthday! 28 Oct 2017 Sue Morris' Birthday! 28 Oct 2017 Stan Kuzmech's Birthday! 26 Oct 2017 Judy Avilla's Birthday! 25 Oct 2017 Jim McGreal's Birthday! 25 Oct 2017 Peach Hench's Birthday! 25 Oct 2017 Pam English's Birthday! 24 Oct 2017 Bob McIntosh's Birthday! 24 Oct 2017 Murray Cox's Birthday! 23 Oct 2017 Loren Davidson's Birthday! 23 Oct 2017 Mae Bozeman's Birthday! 22 Oct 2017 Jeff Krile's Birthday! 22 Oct 2017 Nancy Funt's Birthday! 21 Oct 2017 Chris Woehle's Birthday! 19 Oct 2017 Mickey English's Birthday! 19 Oct 2017 Jeri Bowling's Birthday! 18 Oct 2017 Karen Stewart's Birthday! 18 Oct 2017 Carolyn Fry's Birthday! 17 Oct 2017 Wendy DeVries' Birthday! 16 Oct 2017 Bill Derr's Birthday! 14 Oct 2017 Kathy Shackle's Birthday! 12 Oct 2017 Mickey Foster's Birthday! 12 Oct 2017 Jimi Pappas' Birthday! 11 Oct 2017 Michelle Tafoya's Birthday! 11 Oct 2017 Glenn Richcreek's Birthday! 11 Oct 2017 John Grouten's Birthday! 10 Oct 2017 Mary Turner's Birthday! 09 Oct 2017 Joy Long's Birthday! 07 Oct 2017 Frank Martin's Birthday! 07 Oct 2017 Karen Farley-Wilkinson's Birthday! 07 Oct 2017 Michelle Birnbaum's Birthday! 06 Oct 2017 Jennie Fink's Birthday! 05 Oct 2017 Stan Malinowski's Birthday! 04 Oct 2017 Marianna Martin's Birthday! 04 Oct 2017 Stewart Blakley's Birthday! 03 Oct 2017 Patti Byrski's Birthday! 03 Oct 2017 Carol Joye's Birthday! 01 Oct 2017 Donna Goethel's Birthday! 01 Oct 2017 Linda Heyde's Birthday! 01 Oct 2017 Darrell Dye's Birthday! 30 Sep 2017 Elizabeth Walsh's Birthday! 27 Sep 2017 Jean van Biezen's Birthday! 26 Sep 2017 Bill Jones' Birthday! 25 Sep 2017 Patti Williams' Birthday! 23 Sep 2017 Allen Wells' Birthday! 23 Sep 2017 Kathy Rhodes' Birthday! 22 Sep 2017 Todd Haugen's Birthday! 22 Sep 2017 Leslie Ertl's birthday! 21 Sep 2017 Tim Glancey's Birthday! 21 Sep 2017 Lisa Reiman's Birthday! 19 Sep 2017 Felicia Graham's Birthday! 19 Sep 2017 Cheryl Cates' Birthday! 19 Sep 2017 Debbie Hardman's Birthday! 19 Sep 2017 Bush Sneed's birthday! 18 Sep 2017 Darlene Sattler's Birthday! 17 Sep 2017 Jolly Mon's Birthday! 16 Sep 2017 Roxane Posada's Birthday! 16 Sep 2017 Bruce Lieske's Birthday! 16 Sep 2017 Joy Bollinger's Birthday! 15 Sep 2017 Metro Breski's Birthday! 14 Sep 2017 Lenny Davis' Birthday! 14 Sep 2017 Reg Yearsley's Birthday! 14 Sep 2017 Stuart Schaffer's Birthday! 14 Sep 2017 Robyn Koromhas' Birthday! 13 Sep 2017 Glen Hoff's Birthday! 11 Sep 2017 Leslie Lesinski's Birthday! 11 Sep 2017 Steve Taylor's Birthday! 09 Sep 2017 Marge Holtz's Birthday! 09 Sep 2017 Bev Fowers' Birthday! 09 Sep 2017 Craig Cates' Birthday! 07 Sep 2017 Johnny Ertl's Birthday! 06 Sep 2017 Linda Plumley's Birthday! 06 Sep 2017 Sheila Watson's Birthday! 06 Sep 2017 Geri Salitsky's Birthday! 05 Sep 2017 Ute Miklos' Birthday! 03 Sep 2017 David Nathan's Birthday! 03 Sep 2017 Janet Nathan's Birthday! 03 Sep 2017 Cindy Leone's Birthday! 01 Sep 2017 Kevin Theriault's Birthday! 01 Sep 2017 Steve Noblitt's Birthday! 01 Sep 2017 Jon Range's Birthday! 31 Aug 2017 Dave Bowling's Birthday! 31 Aug 2017 Laurie Holmes' Birthday! 30 Aug 2017 Alan Herman's Birthday! 30 Aug 2017 Diane Rutledge's Birthday! 29 Aug 2017 Mike Koester's Birthday! 29 Aug 2017 Jody Kuhn's Birthday! 29 Aug 2017 Steve Boyce's Birthday! 28 Aug 2017 Sharon Hazzis' Birthday! 28 Aug 2017 Tammy Hollander's Birthday! 27 Aug 2017 Duane Kuhn's Birthday! 22 Aug 2017 Steve Johnson's Birthday! 22 Aug 2017 Gary Masteller's Birthday! 22 Aug 2017 Jennifer Hulse's Birthday! 22 Aug 2017 Perry Ballard's Birthday! 20 Aug 2017 Arthur Miller's Birthday! 19 Aug 2017 John Underwood's Birthday! 18 Aug 2017 LaReta Morrison's Birthday! 17 Aug 2017 Pat Caruso's Birthday! 16 Aug 2017 Richard Krieger's Birthday! 16 Aug 2017 Cheryl Sargent's Birthday! 16 Aug 2017 Karon Rzad's Birthday! 15 Aug 2017 Jim Stoner's Birthday! 14 Aug 2017 Cheryl Cochran's Birthday! 13 Aug 2017 Joe Weissner's Birthday! 12 Aug 2017 Sherri Crilly's Birthday! 10 Aug 2017 Bill Stewart's Birthday! 10 Aug 2017 Beth Molesworth's Birthday! 10 Aug 2017 Rich Dugan's Birthday! 09 Aug 2017 Bruce Mitchell's Birthday! 09 Aug 2017 Myrna Riley's Birthday! 08 Aug 2017 Diane Taylor's Birthday! 07 Aug 2017 Kay Smith's Birthday! 07 Aug 2017 Tina Moore's Birthday! 07 Aug 2017 Catherine Dillman's Birthday! 05 Aug 2017 Gypsea Shaw Birthday! 05 Aug 2017 Dan Fiscus' Birthday! 05 Aug 2017 John Tiersch's Birthday! 04 Aug 2017 Sunny Booker's Birthday! 03 Aug 2017 Peggy Duma's Birthday! 03 Aug 2017 Kevin Madok's Birthday! 02 Aug 2017 Ann Johnson's Birthday! 31 Jul 2017 Mike Stone's Birthday! 30 Jul 2017 Terry Riecken's Birthday! 29 Jul 2017 Rich DiPiero's Birthday! 28 Jul 2017 Ken Ro's Birthday! 27 Jul 2017 Troy Pappas' Birthday! 26 Jul 2017 Al Water's Birthday! 26 Jul 2017 Michele Freyder's Birthday! 25 Jul 2017 Joyce Chilton's Birthday! 24 Jul 2017 Kathy Russ' Birthday! 23 Jul 2017 Colonel Bob's Birthday! 23 Jul 2017 Sharron Lukens' Birthday! 23 Jul 2017 Tim Beasley's Birthday! 22 Jul 2017 July Jump Up pool party! 22 Jul 2017 Glenda Walker's Birthday! 22 Jul 2017 Rick Haukness' Birthday! 21 Jul 2017 Don Beckman's Birthday! 21 Jul 2017 Bob Winterton's Birthday! 20 Jul 2017 Jerry Lukens' Birthday! 20 Jul 2017 Tamatha St. Denis' Birthday! 19 Jul 2017 Denny Lorah's Birthday! 19 Jul 2017 Patrick French's Birthday! 18 Jul 2017 Jon Wampler's Birthday! 18 Jul 2017 Guy Plumley's Birthday! 17 Jul 2017 Sue Taylor's Birthday! 16 Jul 2017 Donna Farrow's Birthday! 15 Jul 2017 Bill Reed's Birthday! 15 Jul 2017 Wendy Raley's Birthday! 15 Jul 2017 Marc Hollander's Birthday! 14 Jul 2017 Roxanne Wood's Birthday! 14 Jul 2017 Bobbi McElroy's Birthday! 12 Jul 2017 Nira Tocco's Birthday! 12 Jul 2017 Dale Hench's Birthday! 11 Jul 2017 Captainn Alex's Birthday! 10 Jul 2017 Stan Rzad's Birthday! 10 Jul 2017 Fred Cooley's Birthday! 09 Jul 2017 Tammy Staples' Birthday! 09 Jul 2017 Fred Slack's Birthday! 09 Jul 2017 Bill Bailey's Birthday! 08 Jul 2017 Pam Campbell's Birthday! 08 Jul 2017 Cheryl Rollings' Birthday! 08 Jul 2017 Bruce Metcalf's Birthday! 07 Jul 2017 Beth Schreier's Birthday! 05 Jul 2017 Steve Belew's Birthday! 02 Jul 2017 Dean Nickless' Birthday! 01 Jul 2017 Karen van Biezen's Birthday! 01 Jul 2017 Carolyn Shoemaker's Birthday! 30 Jun 2017 Denny Howley's Birthday! 29 Jun 2017 Alison Keller's Birthday! 27 Jun 2017 Dane Wisnosky's Birthday! 27 Jun 2017 Mark Tomczak's Birthday! 27 Jun 2017 Kevin Staples' Birthday! 27 Jun 2017 Bob Jozwiak's Birthday! 24 Jun 2017 Laurie Ramos' Birthday! 23 Jun 2017 Charlotte Skinner's Birthday! 23 Jun 2017 Jane Hollinger's Birthday! 22 Jun 2017 Dennis Swarner's Birthday! 22 Jun 2017 Missy Krile's Birthday! 22 Jun 2017 Dale Wiersma's Birthday! 22 Jun 2017 Craig Holmes' Birthday! 20 Jun 2017 Roxanne Josse's Birthday! 20 Jun 2017 Tim Woodman's Birthday! 20 Jun 2017 Steve Gray's Birthday! 19 Jun 2017 Randall Stone's Birthday! 19 Jun 2017 Cindy Range's Birthday! 18 Jun 2017 Joy Davis' Birthday! 18 Jun 2017 Lori Hannam's Birthday! 17 Jun 2017 Sabrina Godwin's Birthday! 17 Jun 2017 Sharon Woodman's Birthday! 17 Jun 2017 Wendy Kelly's Birthday! 16 Jun 2017 Bob Thomas' Birthday! 16 Jun 2017 Danny Hicks' Birthday! 15 Jun 2017 Jen Jacqua's Birthday! 15 Jun 2017 Gina Babin's Birthday! 13 Jun 2017 Ginny Marcotell's Birthday! 13 Jun 2017 Diane Porterfield's Birthday! 12 Jun 2017 Giorgio Hazzis' Birthday! 10 Jun 2017 Vicki Thomas' Birthday! 10 Jun 2017 Eric Babin's Birthday! 09 Jun 2017 Sharon Stubblebine's Birthday! 09 Jun 2017 Steven Pike's Birthday! 09 Jun 2017 Rick Pearson's Birthday! 09 Jun 2017 Laurie Hensley's Birthday! 08 Jun 2017 Nancy Logue's Birthday! 08 Jun 2017 Chuck Heinemann's Birthday! 08 Jun 2017 Roland Baird's Birthday! 06 Jun 2017 John Sudia's Birthday! 05 Jun 2017 James Godwin's Birthday! 05 Jun 2017 Amanda Denney's Birthday! 04 Jun 2017 Kimberly Smith's Birthday! 04 Jun 2017 Mark Ives' Birthday! 04 Jun 2017 Cynthia Grant's Birthday! 03 Jun 2017 Brad Kurpjuweit's Birthday! 01 Jun 2017 Diane Schneider's Birthday! 01 Jun 2017 Darryl Foster's Birthday! 31 May 2017 Jennifer Gaskill's Birthday! 30 May 2017 Sue Goodman's Birthday! 27 May 2017 Al Jordan's Birthday! 25 May 2017 Randy DeRudder's Birthday! 24 May 2017 Randy McDonald's Birthday! 23 May 2017 Bill Setzer's Birthday! 23 May 2017 Paul Glass' Birthday! 22 May 2017 Gary Curran's Birthday! 21 May 2017 Jeff Sattler's Birthday! 21 May 2017 Aurelia Newlin's Birthday! 19 May 2017 Grace Walton's Birthday! 19 May 2017 Robin Reese's Birthday! 19 May 2017 Ed Strobel's Birthday! 18 May 2017 Patti Blakley's Birthday! 15 May 2017 Beverly Howley's Birthday! 15 May 2017 Eileen Dugan's Birthday! 14 May 2017 Sue Eagle's Birthday! 11 May 2017 Willy Fink's Birthday! 09 May 2017 Renee Ha's Birthday! 04 May 2017 David Cooper's Birthday! 04 May 2017 Neil Burke's Birthday! 03 May 2017 Tim Hayes' Birthday! 03 May 2017 Phil Morris' Birthday! 03 May 2017 Randy Hall's Birthday! 03 May 2017 Nick Caruso's Birthday! 02 May 2017 Elizabeth Borton's Birthday! 01 May 2017 Ken Logue's Birthday! 29 Apr 2017 Amy Hanson's Birthday! 29 Apr 2017 Mark Todaro's Birthday! 28 Apr 2017 Cindy Gibbs' Birthday! 28 Apr 2017 Rick Bodner's Birthday! 27 Apr 2017 Wendy Bracht's Birthday! 27 Apr 2017 Joel Cook's Birthday! 27 Apr 2017 Suzanne Borrell's Birthday! 26 Apr 2017 Ivana Ochoa's Birthday! 26 Apr 2017 Tracy Belew's Birthday! 25 Apr 2017 Rob Stober's Birthday! 25 Apr 2017 Susan Mansmann's Birthday! 24 Apr 2017 Paul Welch's Birthday! 22 Apr 2017 Debbie Cooper's Birthday! 19 Apr 2017 Bob Dillman's Birthday! 19 Apr 2017 Janice Bequette's Birthday! 18 Apr 2017 Suzy Bennett's Birthday! 17 Apr 2017 C.J. Reed's Birthday! 16 Apr 2017 Brenda Bodner's Birthday! 15 Apr 2017 Karen Hirst's Birthday! 15 Apr 2017 Scott Ballantyne's Birthday! 14 Apr 2017 Angie Newlove's Birthday! 12 Apr 2017 Jeff Shoemaker's Birthday! 11 Apr 2017 Jan Haugen's Birthday! 11 Apr 2017 Dennis Heyde's Birthday! 10 Apr 2017 Kathleen Melilli's Birthday! 09 Apr 2017 Rudiger Bieler's Birthday! 08 Apr 2017 Larry Carter's Birthday! 08 Apr 2017 Jim Bracht's Birthday! 08 Apr 2017 Jim Cozart's Birthday! 07 Apr 2017 Linda Fay's Birthday! 05 Apr 2017 Don Moran's Birthday! 05 Apr 2017 Gordon Keiser's Birthday! 04 Apr 2017 Beverly Saltz's Birthday! 04 Apr 2017 Jim Rutherford's Birthday! 04 Apr 2017 John Readel's Birthday! 04 Apr 2017 Dan Meadows' Birthday! 02 Apr 2017 Terry Shade's Birthday! 02 Apr 2017 Dana Moulton's Birthday! 01 Apr 2017 Jeff Rabin's Birthday! 01 Apr 2017 Mary Olson's Birthday! 30 Mar 2017 Kathy Hendrickson's Birthday! 30 Mar 2017 Patricia Underwood's Birthday! 30 Mar 2017 Tom Meacham's Birthday! 29 Mar 2017 Peggy Qually's Birthday! 28 Mar 2017 Shelly Crabtree's Birthday! 27 Mar 2017 Pat Henriques' Birthday! 27 Mar 2017 Nadine Lupton's Birthday! 26 Mar 2017 Nita Altum's Birthday! 26 Mar 2017 Mike Salitsky's Birthday! 25 Mar 2017 Chris Faulkner's Birthday! 23 Mar 2017 Ken Baker's Birthday! 22 Mar 2017 Mick Judge's Birthday! 21 Mar 2017 Heidi Golightly's Birthday! 21 Mar 2017 Glenda Sneed's Birthday! 20 Mar 2017 Jeremy Hall's Birthday! 19 Mar 2017 Shanda Cridlin's Birthday! 19 Mar 2017 Ginny Prior's Birthday! 19 Mar 2017 Mary Anne Zimmer's Birthday! 19 Mar 2017 Pat Murphy's Birthday! 19 Mar 2017 Julie Schaffer's Birthday! 18 Mar 2017 David Kay's Birthday! 17 Mar 2017 Terri Craig's Birthday! 15 Mar 2017 Dave Murrell's Birthday! 14 Mar 2017 Kevin Roseberry's Birthday! 14 Mar 2017 Dan Weagley's Birthday! 13 Mar 2017 Andy Burke's Birthday! 11 Mar 2017 Judy Dayner's Birthday! 10 Mar 2017 Wayne Beck's Birthday! 09 Mar 2017 Dani Hoy's Birthday! 07 Mar 2017 Denny Reichenbacher's Birthday! 07 Mar 2017 Chris Ivey's Birthday! 06 Mar 2017 Chum Gette's Birthday! 05 Mar 2017 Jimmy Gilleran's Birthday! 05 Mar 2017 Bill Wilkinson's Birthday! 02 Mar 2017 Nancy Andrews' Birthday! 01 Mar 2017 Ed Rhodes' Birthday! 28 Feb 2017 Brenda Wilfong's Birthday! 28 Feb 2017 Karen Breski's Birthday! 27 Feb 2017 Nancy Noblitt's Birthday! 26 Feb 2017 Bill Blocker's Birthday! 25 Feb 2017 February Jump Up - date change! 25 Feb 2017 Deborah Knowles' Birthday! 25 Feb 2017 John Dayner's Birthday! 24 Feb 2017 Andy Anderson's Birthday! 23 Feb 2017 Sarah Lall's Birthday! 22 Feb 2017 Denise Lieske's Birthday! 21 Feb 2017 Gloria Goins' Birthday! 19 Feb 2017 Shawn Montgomery's Birthday! 19 Feb 2017 Bill Walsh's Birthday! 18 Feb 2017 Martha Campbell's Birthday! 18 Feb 2017 Mike Malott's Birthday! 18 Feb 2017 Petra Sierwald's Birthday! 18 Feb 2017 Deborah Meisel's Birthday! 18 Feb 2017 Linda Norway's Birthday! 16 Feb 2017 Loretta DiTocco's Birthday! 16 Feb 2017 Don Biga's Birthday! 16 Feb 2017 Bob Ballantyne's Birthday! 14 Feb 2017 Carl McMackin's Birthday! 13 Feb 2017 Ramona Legowski's Birthday! 13 Feb 2017 Dennis Hopps Birthday! 13 Feb 2017 Clarke Cooley's Birthday! 13 Feb 2017 Jim Ha's Birthday! 12 Feb 2017 Rachel Plaga's Birthday! 12 Feb 2017 Dan Kelly's Birthday! 12 Feb 2017 Sandy Grouten's Birthday! 11 Feb 2017 Kristin Howell's Birthday! 10 Feb 2017 Alan Hannam's Birthday! 10 Feb 2017 Donna Dye's Birthday! 08 Feb 2017 Lori Gillespie's Birthday! 07 Feb 2017 Joanne Cates' Birthday! 07 Feb 2017 Evelyn Judge's Birthday! 06 Feb 2017 Cindy Plume's Birthday! 06 Feb 2017 Wayne Fry's Birthday! 06 Feb 2017 Niles Noblitt's Birthday! 05 Feb 2017 Cheryl Talbert's Birthday! 31 Jan 2017 Cheryl Wayt Johnson's Birthday! 30 Jan 2017 Marissa Staples-Jordan's Birthday! 30 Jan 2017 Randy Campbell's Birthday! 29 Jan 2017 Scott Cragun's Birthday! 29 Jan 2017 Patti Nickless' Birthday! 29 Jan 2017 Michael Black's Birthday! 28 Jan 2017 Julie Waters' Birthday! 28 Jan 2017 Alan Petrasek's Birthday! 27 Jan 2017 Kathleen Gomez's Birthday! 27 Jan 2017 Cheryl Ann Brown's Birthday! 26 Jan 2017 Bill Bramucci's Birthday! 24 Jan 2017 Bob Avilla's Birthday! 22 Jan 2017 Jill Keeler's Birthday! 20 Jan 2017 Wendy Miller's Birthday! 20 Jan 2017 Allen Holland's Birthday! 20 Jan 2017 Chris Gray's Birthday! 19 Jan 2017 Jacqui Welch's Birthday! 19 Jan 2017 Karen Brock's Birthday! 18 Jan 2017 Vicki Harris' Birthday! 18 Jan 2017 Tom Gibbs' Birthday! 18 Jan 2017 Josh Ramsteck's Birthday! 18 Jan 2017 Lew Ann Cahill's Birthday! 17 Jan 2017 Peggy Klekner's Birthday! 17 Jan 2017 Laurie Kornilow's Birthday! 17 Jan 2017 Jan Hall's Birthday! 16 Jan 2017 Colleen Messner's Birthday! 16 Jan 2017 Virginia Martin's Birthday! 16 Jan 2017 John van Biezen's Birthday! 15 Jan 2017 Shelly Shepard's Birthday! 15 Jan 2017 Sheryl Langley's Birthday! 15 Jan 2017 Jon Seibert's Birthday! 14 Jan 2017 Gina Bilka's Birthday! 14 Jan 2017 Nathan Van Meter's Birthday! 13 Jan 2017 Glenda DeRudder's Birthday! 12 Jan 2017 Bryan Fulton's Birthday! 11 Jan 2017 Cathy McIntosh's Birthday! 11 Jan 2017 LeeAnne Meacham's Birthday! 09 Jan 2017 Sharon Jones' Birthday! 09 Jan 2017 Kim Meadows' Birthday! 08 Jan 2017 Brian Fields' Birthday! 07 Jan 2017 Karri Larson's Birthday! 07 Jan 2017 Deb Motika's Birthday! 07 Jan 2017 Michael Miltich's Birthday! 07 Jan 2017 Alicia French's Birthday! 07 Jan 2017 Rick Kidney's Birthday! 07 Jan 2017 Ruth Gdovin's Birthday! 06 Jan 2017 Cyndy Livingston's Birthday! 05 Jan 2017 Mike Griffin's Birthday! 03 Jan 2017 Bridget Hall's Birthday! 03 Jan 2017 Bob Curran's Birthday! 03 Jan 2017 Carol Murrell's Birthday! 03 Jan 2017 Howard Livingston's Birthday! 02 Jan 2017 Gail Haines' Birthday! 02 Jan 2017 Jorge Ahumada's Birthday! 30 Dec 2016 Jane McClelland's Birthday! 28 Dec 2016 John Manzo's Birthday! 28 Dec 2016 Kelly Goski's Birthday! 27 Dec 2016 Monthly "Bored" Meeting - date change! 24 Dec 2016 Mark Larkins' Birthday! 20 Dec 2016 Gary Lupton's Birthday! 20 Dec 2016 Sonja Bramucci's Birthday! 18 Dec 2016 Dan Moulton's Birthday! 16 Dec 2016 Mark Molesworth's Birthday! 10 Dec 2016 Elba Hada's Birthday! 09 Dec 2016 Tim Tschanz's Birthday! 07 Dec 2016 Brooke McMahon's Birthday! 04 Dec 2016 Allie Glass' Birthday! 03 Dec 2016 Anita Polkoski's Birthday! 03 Dec 2016 Richard Collins' Birthday! 30 Nov 2016 Gerry Sims' Birthday! 29 Nov 2016 Kelly Kline's Birthday! 22 Nov 2016 Rene' Leak's Birthday! 18 Nov 2016 Richard Wilfong's Birthday! 16 Nov 2016 Gary Johnson's Birthday! 15 Nov 2016 Monthly "Bored" Meeting - new date! 10 Nov 2016 Sandy Moran's Birthday! 09 Nov 2016 Tammy Hulsey's Birthday! 07 Nov 2016 Stephanie Karch's Birthday! 05 Nov 2016 Kenny Burke's Birthday! 05 Nov 2016 Robin Balla's Birthday! 02 Nov 2016 Dotty Tarbox's Birthday! 30 Oct 2016 Pablo Heins' Birthday! 28 Oct 2016 Gerry Coady's Birthday! 25 Oct 2016 Dave Tarbox's Birthday! 21 Oct 2016 Tom Brown's Birthday! 14 Oct 2016 Mary Readel's Birthday! 14 Oct 2016 Tiffani Green's Birthday! 12 Oct 2016 Karen Hall's Birthday! 10 Oct 2016 Pamela Jones' Birthday! 06 Oct 2016 Linda Winterton's Birthday! 04 Oct 2016 Vicki Koch's Birthday! 04 Oct 2016 Joe Grillo's Birthday! 01 Oct 2016 Donna Goethel's Birthday! 27 Sep 2016 Diane Corliss' Birthday! 19 Sep 2016 Monthly "Bored" Meeting - location updated! 18 Sep 2016 Al Brown's Birthday! 18 Sep 2016 Bob Amis' Birthday! 16 Sep 2016 Chrissi Bak's Birthday! 14 Sep 2016 Cynthia Setzer's Birthday! 12 Sep 2016 Dyanne Lathan's Birthday! 11 Sep 2016 Castaways Kick-off Party! 10 Sep 2016 Karen Mather's Birthday! 09 Sep 2016 Linda McCarthy's Birthday! 09 Sep 2016 Stephanie Hellstrom's Birthday! 07 Sep 2016 Maria Sims' Birthday! 06 Sep 2016 Catherine Mann's Birthday! 04 Sep 2016 Bonnie Pearson's Birthday! 04 Sep 2016 Linda Harrison's Birthday! 02 Sep 2016 Lisa Curran's Birthday! 27 Aug 2016 James Riley's Birthday! 26 Aug 2016 Carla Gette's Birthday! 22 Aug 2016 Scott Willett's Birthday! 22 Aug 2016 Eugene Viereck's Birthday! 22 Aug 2016 Brenda Hannah's Birthday! 21 Aug 2016 Jump Up at Gas Monkey - update! 17 Aug 2016 Pat Caruso's Birthday! 17 Aug 2016 Anna Baird's Birthday! 10 Aug 2016 Melody Hendrixson's Birthday! 10 Aug 2016 Jeff Goins' Birthday! 09 Aug 2016 Joe Cortner's Birthday! 09 Aug 2016 Diane Taylor's Birthday! 08 Aug 2016 Kimberly Libby's Birthday! 08 Aug 2016 Sean Paul Kelly's Birthday! 06 Aug 2016 Mike Hendrixson's Birthday! 06 Aug 2016 Larry Blackburn's Birthday! 05 Aug 2016 Bruce Christensen's Birthday! 03 Aug 2016 Peggy Duma's Birthday! 02 Aug 2016 Bob Eaken's Birthday! 01 Aug 2016 Larinda Cooley's Birthday! 30 Jul 2016 Janet Haukness' Birthday! 28 Jul 2016 Linda Viereck's Birthday! 27 Jul 2016 Patti Biga's Birthday! 24 Jul 2016 Jerry McElroy's Birthday! 24 Jul 2016 Tiki Kev's Birthday! 23 Jul 2016 Robert Nassov's Birthday! 20 Jul 2016 Sherri Hodies' Birthday! 18 Jul 2016 Frances Haynes' Birthday! 14 Jul 2016 Rick Kingery's Birthday! 14 Jul 2016 Anne Foley's Birthday! 12 Jul 2016 Lisa Stacey's Birthday! 11 Jul 2016 Joe McQuillen's Birthday! 06 Jul 2016 Matt Pietrzak's Birthday! 06 Jul 2016 Danny Lynn's Birthday! 02 Jul 2016 David Stofa's Birthday! 02 Jul 2016 Rick Lavoie's Birthday! 27 Jun 2016 Ryan O'Rear's Birthday! 27 Jun 2016 Susie McQuillen's Birthday! 25 Jun 2016 Scott Rickert's Birthday! 22 Jun 2016 Annie Lahr's Birthday! 21 Jun 2016 Linda Pietrzak's Birthday! 21 Jun 2016 Randy Mullins' Birthday! 21 Jun 2016 William Garrett's Birthday! 11 Jun 2016 Diana O'Rear's Birthday! 10 Jun 2016 Karen Johnson's Birthday! 07 Jun 2016 Skip Crowther's Birthday! 05 Jun 2016 Amanda Denny's Birthday! 03 Jun 2016 Kim Weidner's Birthday! 03 Jun 2016 Lori Shea's Birthday! 30 May 2016 Jane Witmer's Birthday! 28 May 2016 Linda Moorefield's Birthday! 28 May 2016 Linnea Beard's Birthday! 27 May 2016 Chuck Dennis' Birthday! 26 May 2016 Barefoot Reggie Starrett's Birthday! 26 May 2016 Linda Shade's Birthday! 25 May 2016 John Manfredo's Birthday! 23 May 2016 Bryan Balla's Birthday! 19 May 2016 Vicki DiVietro's Birthday! 19 May 2016 Mike Benner's Birthday! 13 May 2016 Jeanne Rickert's Birthday! 12 May 2016 Dave Mason's Birthday! 11 May 2016 Annita Tschanz's Birthday! 11 May 2016 Susan Dennis' Birthday! 08 May 2016 Mike Green's Birthday! 04 May 2016 Pete Trainor's Birthday! 03 May 2016 Sharon Crossley's Birthday! 02 May 2016 Elizabeth Borton-Reed's Birthday! 22 Apr 2016 Gino Biasi's Birthday! 20 Apr 2016 Elissa Lozano's Birthday! 20 Apr 2016 Mike Bohsczyk's Birthday! 13 Apr 2016 Terry Wallace's Birthday! 10 Apr 2016 Sonya Wilson's Birthday! 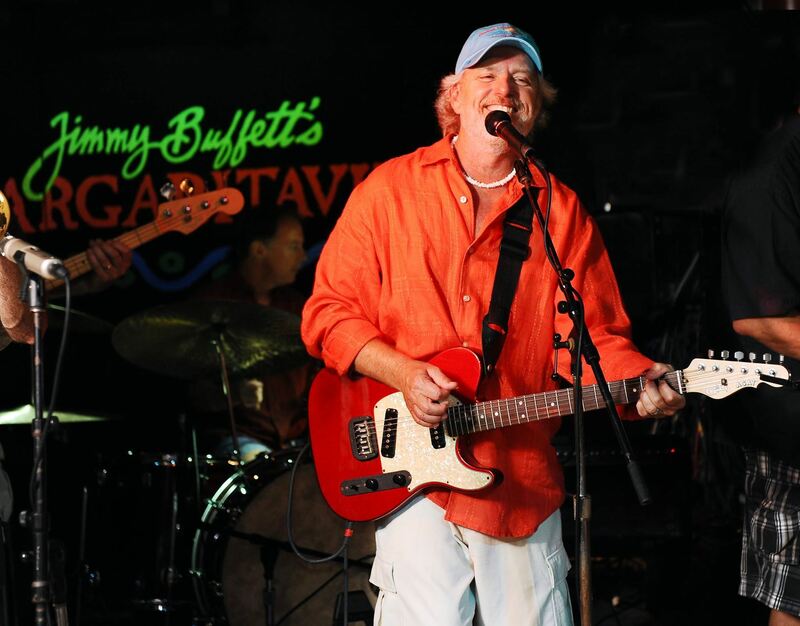 08 Apr 2016 Jim Cozart's Birthday! 07 Apr 2016 Stacie Litsenberger's Birthday! 04 Apr 2016 Maureen Edson's Birthday! 04 Apr 2016 Nancy Ballantyne's Birthday! 30 Mar 2016 Pam Poland's Birthday! 29 Mar 2016 Santha Martin's Birthday! 29 Mar 2016 Mike Divietro's Birthday! 27 Mar 2016 Lynn Hewitt's Birthday! 24 Mar 2016 Troy McElwee's Birthday! 23 Mar 2016 Jenny Hollar-Young's Birthday! 22 Mar 2016 Tami Casey's Birthday! 19 Mar 2016 Mary Anne Zimmer's Birthday! 19 Mar 2016 Ginny Prior's Birthday! 13 Mar 2016 Jay Hunter's Birthday! 11 Mar 2016 Judy Dayner's Birthday! 11 Mar 2016 Dan Cook's Birthday! 10 Mar 2016 Loyd Wallace's Birthday! 08 Mar 2016 Vicki Sawyer's Birthday! 07 Mar 2016 Nancy Henning's Birthday! 05 Mar 2016 Amberlee Rogers' Birthday! 05 Mar 2016 Howie & MM24 - Music on the Bay! 04 Mar 2016 Sheila Cullen's Birthday! 03 Mar 2016 Jill Tolman's Birthday! 02 Mar 2016 Patricia Collins' Birthday! 26 Feb 2016 Bill Blocker's Birthday! 26 Feb 2016 Jill Cook's Birthday! 25 Feb 2016 Lisa Burke's Birthday! 19 Feb 2016 Bill Walsh's Birthday! 18 Feb 2016 Petra Sierwald's Birthday! 18 Feb 2016 Deborah Meisel's Birthday! 18 Feb 2016 John Fasanella's Birthday! 17 Feb 2016 Mark Reiman's Birthday! 17 Feb 2016 Deborah Fenstermacher's Birthday! 14 Feb 2016 Judy Tomczak's Birthday! 14 Feb 2016 Carl McMackin's Birthday! 13 Feb 2016 Nancy Moulton's Birthday! 13 Feb 2016 Dennis Hopps' Birthday! 13 Feb 2016 Jim Ha's Birthday! 13 Feb 2016 Clarke Cooley's Birthday! 09 Feb 2016 Rob Cochran's Birthday! 08 Feb 2016 Jerry Brown's Birthday! 07 Feb 2016 Joanne Cates' Birthday! 06 Feb 2016 Niles Noblitt's Birthday! 06 Feb 2016 Carie Jarnot's Birthday! 26 Jan 2016 Steve Johnston's Birthday! 24 Jan 2016 Justine Bohaczyk's Birthday! 20 Jan 2016 Lyle Wilson's Birthday! 17 Jan 2016 Peggy Kelkner's Birthday! 16 Jan 2016 Kim Snyder's Birthday! 15 Jan 2016 Jon Seibert's Birthday! 14 Jan 2016 Nathan VanMeter's Birthday! 11 Jan 2016 Perry Hodies' Birthday! 10 Jan 2016 Phil Haynes' Birthday! 10 Jan 2016 Deb Brown's Birthday! 07 Jan 2016 Deb Motika's Birthday! 07 Jan 2016 Michael Miltich's Birthday! 07 Jan 2016 Alicia French's Birthday! 06 Jan 2016 Cyndy Livingston's Birthday! 03 Jan 2016 Carol Murrell's Birthday! 03 Jan 2016 Howie's Birthday! 26 Dec 2015 Drew Dzykewicz's Birthday! 25 Dec 2015 Carie Noda's Birthday! 10 Dec 2015 Phil Haynes' Birthday! 08 Dec 2015 Sue Blocker's Birthday! 06 Dec 2015 Debbie Bensley's Birthday! 30 Nov 2015 Becky Thompson's Birthday! 30 Nov 2015 Ed DeVries' Birthday! 28 Nov 2015 Don Olson's Birthday! 26 Nov 2015 Kathy Yearsley's Birthday! 25 Nov 2015 Jackie Baird's Birthday! 23 Nov 2015 Cindy Morr's Birthday! 22 Nov 2015 Steve Craigo's Birthday! 21 Nov 2015 Don Martin's Birthday! 20 Nov 2015 Teresa Wiersma's Birthday! 18 Nov 2015 Rusty Hodgdon's Birthday! 17 Nov 2015 Windie Wilson's Birthday! 16 Nov 2015 Gary Johnson's Birthday! 15 Nov 2015 Richard Jordan's Birthday! 11 Nov 2015 Carol Dehoff's Birthday! 11 Nov 2015 Linda Kessler's Birthday! 10 Nov 2015 Becky Blanchard's Birthday! 08 Nov 2015 Linda Muncy's Birthday! 07 Nov 2015 Theresa Muglia's Birthday! 06 Nov 2015 Colleen Kidney's Birthday! 05 Nov 2015 Kenny Burke's Birthday! 04 Nov 2015 Donna Wood's Birthday! 04 Nov 2015 Bruce Kudick's Birthday! 01 Nov 2015 Sharon Douglas' Birthday! 29 Oct 2015 John Bailey's Birthday! 28 Oct 2015 Sue Morris' Birthday! 28 Oct 2015 Stan Kuzmech's Birthday! 28 Oct 2015 Gerry Coady's Birthday! 26 Oct 2015 Art Hewitt's Birthday! 26 Oct 2015 Christina Boros' Birthday! 25 Oct 2015 Peach Hench's Birthday! 25 Oct 2015 Pam English's Birthday! 24 Oct 2015 Murray Cox's Birthday! 23 Oct 2015 Loren Davidson's Birthday! 21 Oct 2015 Tom Brown's Birthday! 19 Oct 2015 Mickey English's Birthday! 18 Oct 2015 Karen Stewart's Birthday! 17 Oct 2015 Howie's CD Release Party! 17 Oct 2015 Wendy DeVries' Birthday! 14 Oct 2015 Kathy Shackle's Birthday! 14 Oct 2015 Mary Readel's Birthday! 14 Oct 2015 Tiffani Green's Birthday! 12 Oct 2015 Karen Hall's Birthday! 11 Oct 2015 Emily Wright's Birthday! 11 Oct 2015 Glenn Richcreek's Birthday! 11 Oct 2015 John Grouten's Birthday! 10 Oct 2015 Mary Turner's Birthday! 09 Oct 2015 Susie Lanier's Birthday! 08 Oct 2015 Jenn Bonney's Birthday! 07 Oct 2015 Frank Martin's Birthday! 07 Oct 2015 Karen Farley-Wilkinson's Birthday! 07 Oct 2015 Michelle Birnbaum's Birthday! 06 Oct 2015 Linda Winterton's Birthday! 04 Oct 2015 Vicki Koch's Birthday! 04 Oct 2015 Stewart Blakley's Birthday! 03 Oct 2015 Bill Schimpf's Birthday! 01 Oct 2015 Michelle Tafoya's Birthday! 30 Sep 2015 Betty Walsh's Birthday! 27 Sep 2015 Jean van Biezen's Birthday! 27 Sep 2015 Bruce Boros' Birthday! 25 Sep 2015 Patti Willilams' Birthday! 25 Sep 2015 Joe Pollentier's Birthday! 23 Sep 2015 Harold Talbert's Birthday! 18 Sep 2015 Al Brown's Birthday! 17 Sep 2015 Jolly Mon's Birthday! 16 Sep 2015 Joy Bollinger's Birthday! 14 Sep 2015 Stuart Schaffer's Birthday! 14 Sep 2015 Reg Yearsley's birthday! 12 Sep 2015 Dyanne Lathan's Birthday! 09 Sep 2015 Craig Cates' Birthday! 07 Sep 2015 John Ertl's birthday! 04 Sep 2015 Bonnie Pearson's Birthday! 03 Sep 2015 David Nathan's Birthday! 03 Sep 2015 Janet Nathan's birthday! 01 Sep 2015 Robyn Koromhas' Birthday! 29 Aug 2015 Steve Boyce's birthday! 24 Aug 2015 Jim Fenstermacher's birthday! 23 Aug 2015 Richard Cooper's Birthday! 22 Aug 2015 Mike Bonney's Birthday! 22 Aug 2015 Jennifer Hulse's birthday! 21 Aug 2015 Beryl Johnson's Birthday! 20 Aug 2015 Art Miller's Birthday! 18 Aug 2015 LaReta Morrison's Birthday! 17 Aug 2015 Darlene Mitchell's Birthday! 17 Aug 2015 Pat Caruso's Birthday! 15 Aug 2015 Jim Stoner's Birthday! 14 Aug 2015 Cheryl Woodall's Birthday! 13 Aug 2015 Joe Weissner's Birthday! 10 Aug 2015 Bill Stewart's Birthday! 10 Aug 2015 Jeff Goins' Birthday! 10 Aug 2015 Rich Dugan's birthday! 09 Aug 2015 Joe Corner's Birthday! 08 Aug 2015 Diane Taylor's Birthday! 07 Aug 2015 Tina Moore's Birthday! 05 Aug 2015 John Tiersch's Birthday! 01 Aug 2015 Terry Cassidy's Birthday!